His tally is more than the combined reported totals of all the announced or “exploring’’ Republican hopefuls for governor. In fact, Koster appears to have more in the bank than anybody else in Missouri currently planning to run for any statewide or congressional office in 2016. The best-known declared Republican contender for governor, former Missouri House Speaker Catherine Hanaway, reported $1.2 million in the bank. A potential Republican rival for the job, author/Navy Seal Eric Greitens, reported raising more than $470,000 – with more than $450,000 in the bank -- for his gubernatorial exploratory committee. All of his money had been collected in 35 days. St. Louis area businessman John Brunner also has an exploratory operation for governor, but he did not have to file a report. Hanaway has raised only $51,000 since January 1, but her campaign blames the low total largely on her decision to suspend her campaign following the Feb. 26 suicide of her chief GOP rival at the time, then-state Auditor Tom Schweich. That decision resulted in Hanaway canceling several fundraising events, a spokesman said. 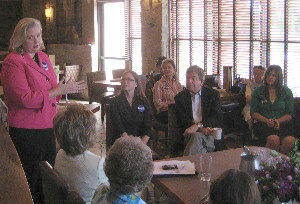 She began campaigning again in late March, right before the end of the reporting period for the last reporting period. 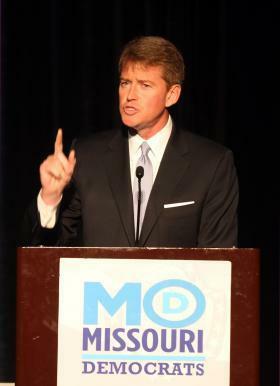 Chris Koster at last summer's Jefferson- Jackson Dinner. Koster, meanwhile, has had other issues. His report was his first in six months, since he wasn’t required to file in January. He changed his chief fundraising personnel late last year, about the same time he was hit with a damaging story in The New York Times that implied he and attorneys general in several other states were allowing donors and lobbyists to improperly influence their office’s legal cases. 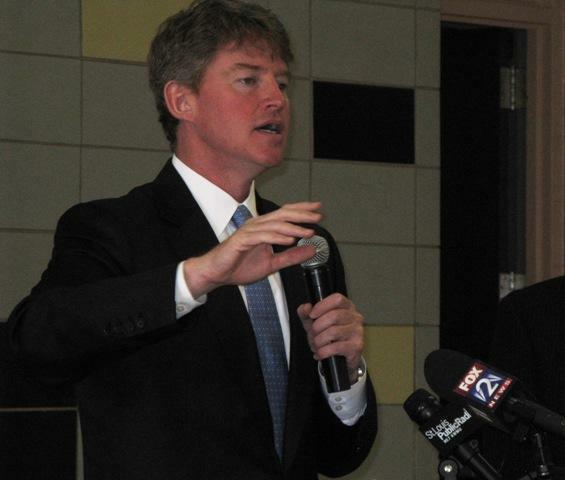 Koster has denied any wrongdoing or impropriety. But he announced a few months ago that he was imposing some restrictions on his own campaign fundraising. Those curbs include barring all donations from lobbyists, and from any firm or person involved in legal cases handled by his office within 90 days. All donors for his 2016 campaign for governor now must sign a document declaring they aren’t involved in any cases before the attorney general’s office, as a firm or as a lobbyist. Those who cannot, or will not, comply with the restrictions are getting their checks sent back, a campaign spokesman said. 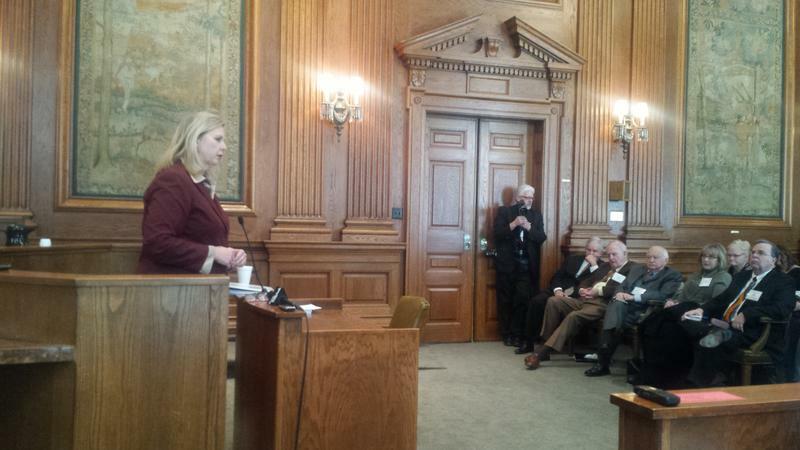 Missouri’s gubernatorial contest has been roiled by Schweich’s Feb. 26 suicide. The late auditor’s campaign arguably overshadowed his rivals with his final report, which showed close to $400,000 has been returned to donors who had asked for refunds. U.S. Sen. Roy Blunt, R-Mo., has amassed just over $3 million in the bank for his 2016 re-election bid. That included $1.08 million raised since January 1, according to official summary sheets that his campaign provided to St. Louis Public Radio. 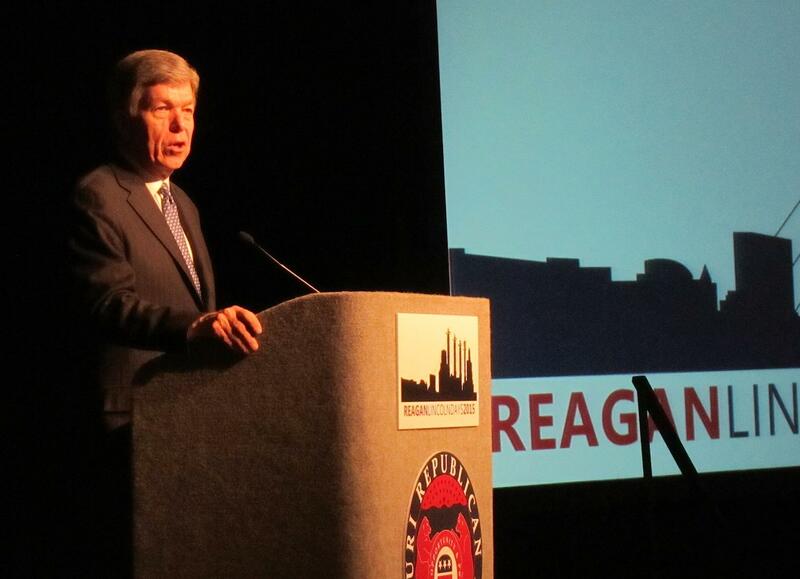 Roy Blunt speaking at state GOP's Lincoln Days in February. Blunt’s major Democratic rival, Missouri Secretary of State Jason Kander, reported raising $783,459 just since he announced his candidacy on Feb. 19. Of that amount, just over $700,000 remains in his bank account. Kander also provided summary sheets to St. Louis Public Radio. Senate candidates file their reports with their chamber, which then forwards them to the Federal Election Commission. As a result, Senate campaign-finance reports often are not publicly available until a week or two after they are filed, unless the candidates voluntarily release their reports. Kander also file a state campaign-finance report showing that about $500,000 remains on hand in a separate bank account for his state campaign committee. But that money cannot be used for his U.S. Senate bid, because federal campaign-finance laws are much stricter than those in effect in Missouri. A spokesman said Kander had no immediate plans for his state war chest, and will keep it in the bank. Gov. Jay Nixon, a Democrat who had been a voracious money-raiser for years, is spending down what’s left in his campaign bank account. The governor’s report, his first since Oct. 15, shows he has raised less than $66,000 in the last six months. And he’s collected no donations since right before Christmas. Lt. Gov. Peter Kinder, a Republican in his third term, has raised even less. Kinder reported raising only $8,400 since January 1, even though he has declared his plans to run for a fourth term in 2016 – and he’s publicly pondering a possible bid for governor instead. Kinder reported just over $56,000 in the bank. State Treasurer Clint Zweifel, a Democrat, has collected no money so far this year. His report showed him with $144,920 left in the bank. Zweifel is term-limited after 2016, and so far has announced no plans to run for anything else. Two Democrats – state Sen. Scott Sifton of Affton and St. Louis County Assessor Jake Zimmerman – are competing for the chance to succeed Koster as attorney general. And so far, Zimmerman is winning the money-raising contest. Zimmerman reported raising $446,376 so far this year, compared to only $89,517 for Sifton. Zimmerman reported $797,924 in his bank account, compared to Sifton’s $440,679. Zimmerman’s tally includes his recent personal loan of $200,000 to his campaign; Sifton previously had lent his campaign $100,000. Meanwhile, the chief Republican contender – state Sen. Kurt Schaefer of Columbia – reported raising only $77,153 during the quarter. But he has amassed $1.3 million, which is more than the combined tally of his Democratic rivals. However, Schaefer's money includes $500,000 of his own money that he previously had lent to his campaign. The only announced candidate for state treasurer – state Sen. Eric Schmitt, R-Glendale – also showed a marked slowdown in his fundraising so far this year. 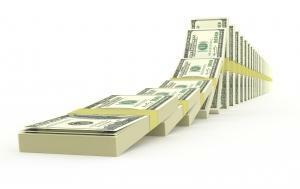 Schmitt reported raising only $43,554 since January 1. But he still retains a hefty $1.7 million in the bank. Republican Bev Randles, a Kansas City lawyer and Republican considering a bid for lieutenant governor, reported raising less than $4,000 so far this year. Her campaign had gotten a jumpstart last fall, thanks to a $1 million donation from wealthy financier Rex Sinquefield. Ordinarily, candidates for governor would go out of their way to publicize a major fundraising event that attracted 400 people. 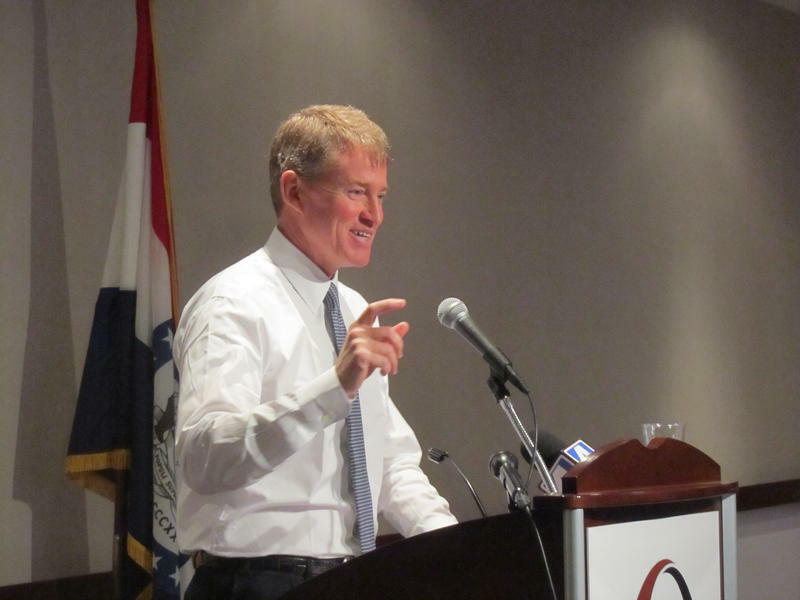 But not so Missouri Attorney General Chris Koster, the state’s only major Democratic candidate for governor, who opted to quietly hold the $500-a-couple (and up) gathering this week at the Renaissance Grand hotel downtown. Former Missouri House Speaker/U.S. Attorney Catherine Hanaway, who's now a lawyer working with the Ashcroft Group, helped launch Monday a "Women for Roy Blunt'' coalition aimed at promoting the U.S. Senate bid of the southwest Missouri congressman. Hanaway will cohost the coalition, along with Renee Hulshof, a radio-show host in Columbia, Mo., and the wife of former U.S. Rep. (and unsuccessful 2008 gubernatorial nominee) Kenny Hulshof. To repair his reputation, Missouri Attorney Chris Koster has announced self-imposed guidelines on what campaign donations he will accept as he runs his office while also running for governor in 2016. In a statement, Koster said he was advancing “sweeping new transparency measures’’ that he acknowledged were intended to address some conflict-of-interest accusations that have been leveled against him. But he also suggested that the General Assembly consider imposing similar campaign limits on other public officials.